Ultimate Information Technology Pvt. Ltd. 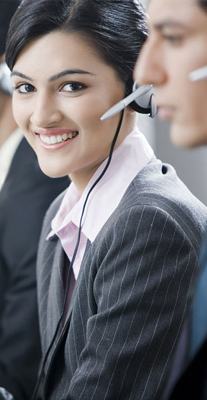 ULTIMATE ITPL With our associate can provide call center facility with inbound and allied services. Outbound calling would also be done if required. This call center was used in municipal elections to assist voters who may not have access to internet, voice voter helpline was active for 12 hours a day. Online agents helped to resolve queries pertaining to election. Queries pertaining to voter search, acts rules, contact numbers of officials were resolved on a phone line as well. Maintain up-to-date information on the customer contacts, RO contacts, Management contacts, SLA matrix, Severity and categorization matrix of customers. © Ultimate Information Technology Pvt. Ltd. All rights reserved.